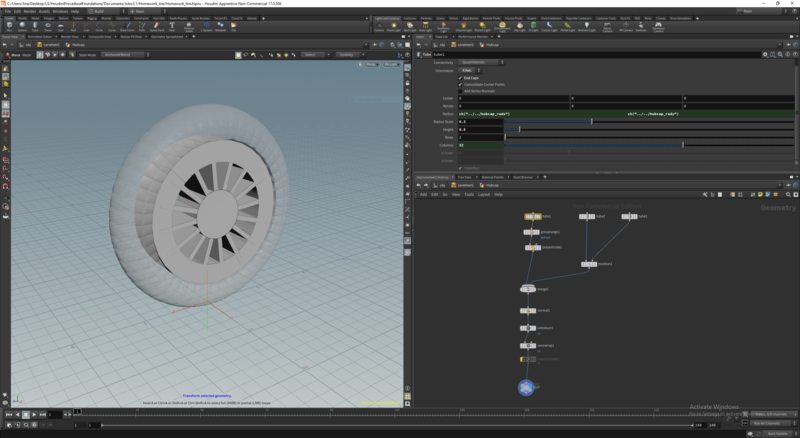 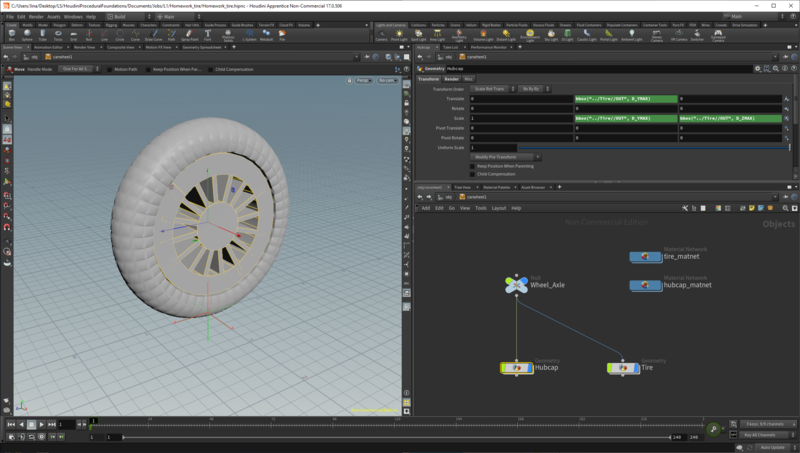 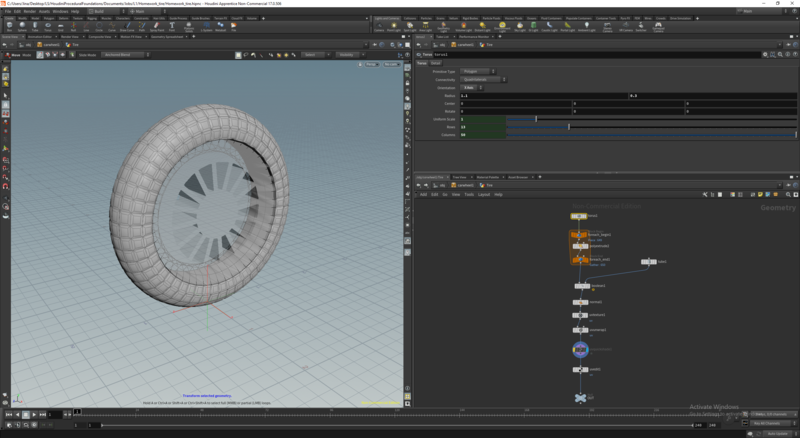 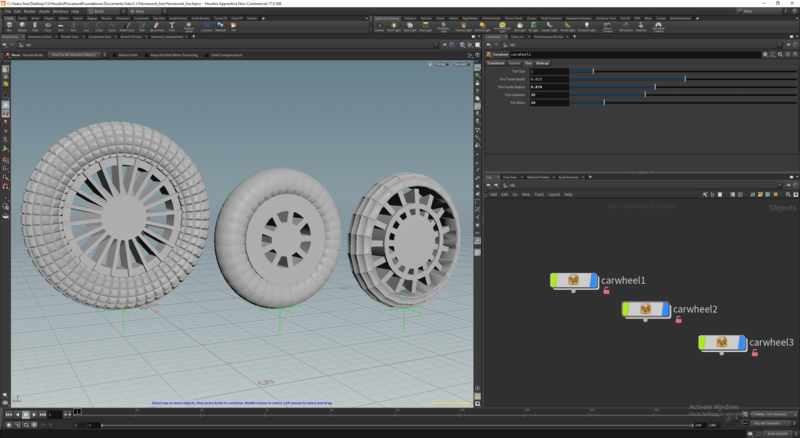 I created my first asset to build some type of procedural geometry - a tire and hubcap. This asset can output many variations of my object, and have more than one component. 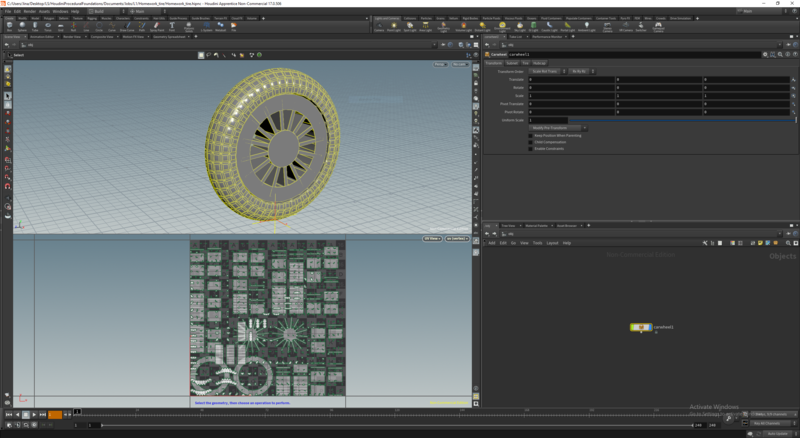 Objects also have some form of UVs, and a fully-functional UI.